The quake is the most powerful ever recorded on Alaska's oil-producing North Slope. ANCHORAGE — A magnitude 6.4 earthquake struck on Sunday near the village of Kaktovik, on Alaska’s Beaufort Sea coast, and near part of the Arctic National Wildlife Refuge where the Trump administration plans to allow oil drilling. No injuries or damage were reported. The temblor, which occurred just before 7 a.m. local time, was the most powerful on record to hit Alaska’s oil-producing North Slope, said Paul Huang, a seismologist and deputy director of the National Tsunami Warning Center in Palmer, Alaska. No tsunami alert was generated, though ground motion was felt as far away as Fairbanks, nearly 400 miles (644 kilometers) to the south. The quake had no impact on operations of the trans-Alaska pipeline system that carries North Slope crude 800 miles (1,300 kilometers) to the marine terminal at Valdez, according to a statement from Alyeska, the consortium that runs the pipeline. Alyeska said it would conduct follow-up inspections of the pipeline and related facilities. Inspection teams likewise found nothing amiss at the Prudhoe Bay oil field about 85 miles (137 kilometers) to the east, said Megan Baldino, a spokeswoman for BP Exploration (Alaska) Inc, which operates the field. The quake, initially measured at a magnitude 6.5, was followed by a series of aftershocks, the largest of which was a 6.0 tremor, according to the U.S. Geological Survey. The main earthquake was centered 40 miles (64 kilometers) southwest of Kaktovik, a coastal Inupiat village of about 260 residents at the northern edge of the Arctic National Wildlife Refuge. 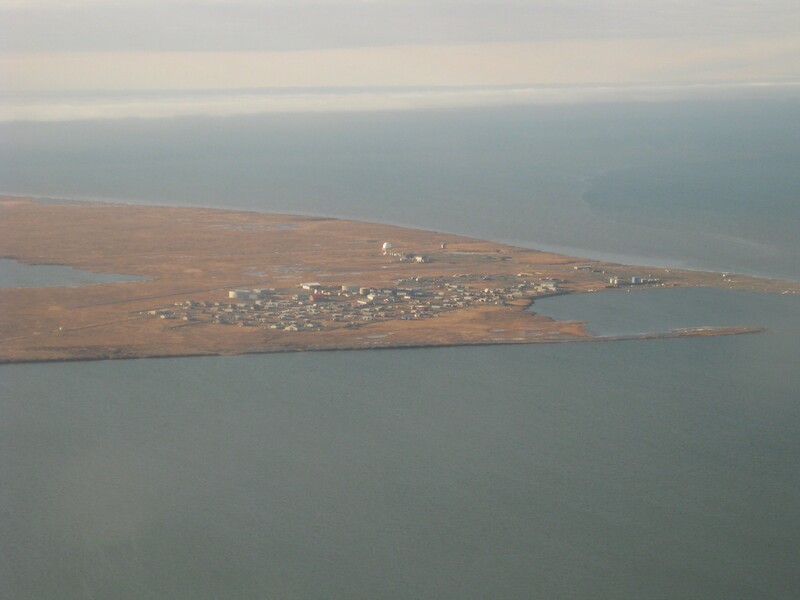 State emergency officials said they had no reports of damage, but locals in Kaktovik said the tremor did not pass unnoticed. “I felt a little shaking and felt dizzy, and felt the shelves shaking,” said Archie Brower, assistant manager at the Kaktovik Kikiktak grocery. The epicenter also lies near an area the U.S. Interior Department plans to lease for petroleum exploration along ANWR’s coastal plain, which had been off-limits to fossil fuel development until a provision was enacted as part of President Donald Trump’s 2017 tax bill. The vast and environmentally sensitive coastal plain, wedged between the Beaufort Sea and Brooks Range mountains, is prized for its importance to caribou, polar bears and other wildlife but is believed to hold billions of barrels of oil. “Scientifically, however, this region is poorly understood and the behavior of the fault or faults responsible for today’s earthquake are not known,” the Alaska Earthquake Center in Fairbanks said in a bulletin. Strong earthquakes are not uncommon in seismically active Alaska, but they tend to occur in remote, sparsely populated regions where there is little or no damage.